I dip them in either ranch mixed with a little Frank's hot sauce, or the Hidden Vally Spicy Ranch dressing. In a small bowl, mix egg, milk, 1 Tbsp flour & Worcestershire. In separate small bowl, stir remaining flour, salt and pepper (I sometimes add a little Cajun seasoning too). Heat vegetable oil in deep fryer to 350. 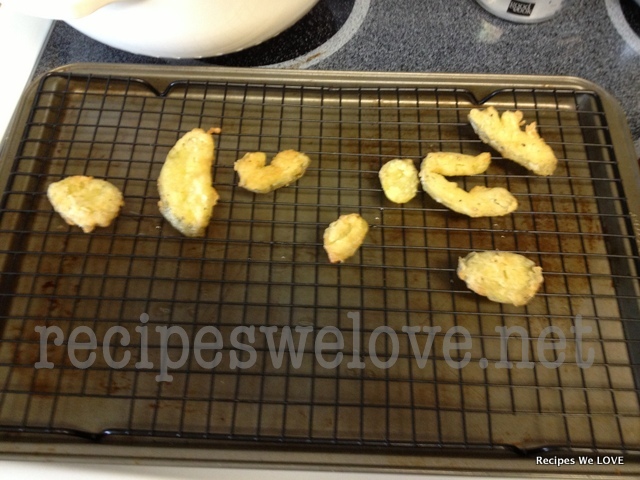 Dip pickles in liquid mixture, then flour mixture and repeat. Place in fryer basket, being careful not to overload. (You will need to do several batches). 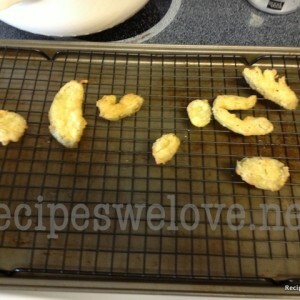 Lower pickles into oil carefully and fry until golden brown and floating. Drain on paper towels.